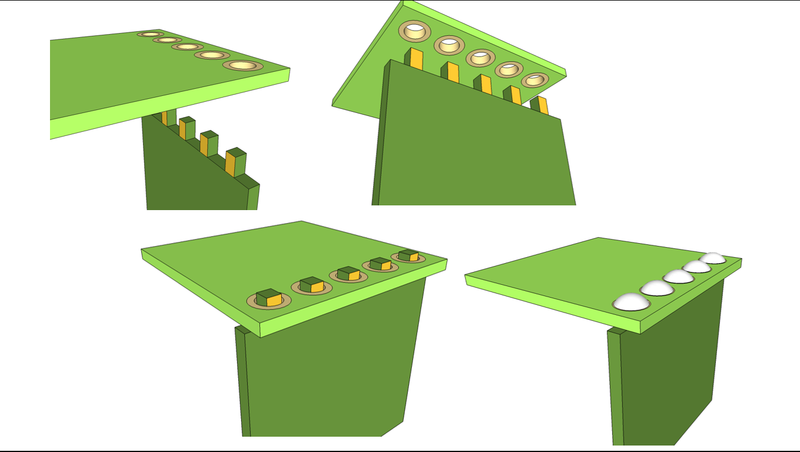 Is there a name for the production method where say a base board (horizontal) has a slot milled into it with the solder mask open around it, most often the soldermask is split into several sections to give several electrical nets, and another PCB with an mechanically suiable edge connector inserted orthogonally (vertical) and soldered in place? Heck, I even put a board like this into mass production for a previous company, but I can't find a name for it and hence no pictures on google to show what I mean. Is there a name for this? It's similar to stacking a module on top of a base PCB in castellation mountng, but vertical castellation didn't give any good results. Think PCI without the PCI connector and permanent installation. My Google-fu isn't very strong with this one. 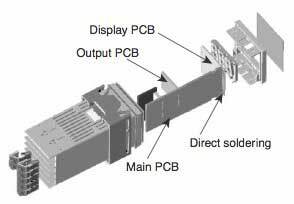 "PCB perpendicular soldering" turned up one other picture from a DIY site. Not the answer you're looking for? Browse other questions tagged pcb production or ask your own question. OK to connect boards perpendicularly like this?